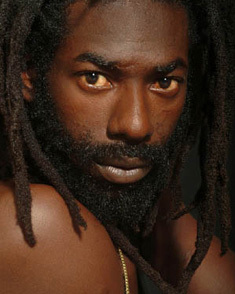 Music News: Buju Banton looks to face more time in Jail. Buju Banton’s new trial was rejected yesterday by a federal judge and he may now be facing the prospect of having his 10-year prison sentence extended to 15 years after a Federal judge yesterday rejected his request for a new trial. Federal Judge James Moody yesterday denied Buju’s request for a new trial and argued that there was no need for one in light of an Atlanta Appeal Court’s ruling that there was sufficient evidence to convict the reggae star on a gun charge. Buju is now to appear in court for a new sentencing hearing. But yesterday, his lawyer, David Oscar Markus, said the fight is not yet over. “I plan on appealing again and will take this to the Supreme Court if I must,” said Markus. “I won’t stop fighting for my friend and brother,” Markus added. Last year, a jury found Buju guilty of drugs and gun charges, but Moody did not sentence him on the gun charge because the Jamaican had never met or spoke with James Mack, his co-accused who was held with the gun. Lawyers representing Buju challenged the ruling, but the Appeal Court upheld the decision while sending the matter back to the lower court to decide if Buju should be retried. The Appeal Court also agreed with the prosecution that Buju should have been given prison time for the presence of a firearm during the drug deal. Just over one year ago, Buju, whose correct name is Mark Myrie, was found guilty of conspiracy to possess with the intent to distribute cocaine, possession of a firearm in furtherance of a drug-trafficking offence and using a telephone to facilitate a drug-trafficking offence. The conviction carried a 15-year prison sentence but Moody threw out the gun conviction, lowering Buju’s sentence to 10 years.